12 Years a Slave has set the bar in honest historical filmmaking, as well as just how emotionally connecting a film can be. With the 50th anniversary of the Civil Rights Movement’s march on Washington having just passed, and with the historically deplorable Columbus Day holiday upcoming, we can’t be reminded enough of the history of humanity’s tyranny over one another. Sobering and immensely difficult to watch, British director Steve McQueen’s 12 Years a Slave, is to date the most unyielding film depiction of slavery in America ever released. With raw and heart wrenching performances from it’s cast, and a brutally honest artistic perspective from it’s director, this film deserves serious attention and veneration. Based on the book published in 1853, 12 Years a Slave is the true story of Solomon Northup, a free African-American living in New York in 1841, who was torn from his life of freedom to that of slavery. Once a man of distinction and known for his musical talents, Northup is duped into taking a job with two men who drug him and sell him into slavery. Given the new identity of “Platt Hamilton” and forced to recognize himself as a runaway slave from Georgia, he was sold to and owned by several plantation owners in the Louisiana bayous. Unsure of whether he would ever see his wife and children back in New York, Northup is faced with the greatest obstacle any man can face: the revocation of his humanity and freedom. Just as a slave in those days had no respite from the daily injustices they were subjected to, the film offers very little rest from the non-stop emotional and physical devastation of slavery. Indeed, in the way that Northup is thrown into and introduced to the severity of what it was to be a slave, so are we the audience forced into an uncomfortable understanding of what it would be to have all ones privileges and family stripped from them. Northup’s position as a free man is identifiable to us, and therefore his harrowing journey is all the more provoking. Through every hanging, every lashing, each panic-inducing escape attempt, McQueen uses the camera to show more than we’ve ever seen before and for longer than we’ve ever seen it. But aside from the physical barbarity we’re forced to witness, it’s the assassination of the soul that is hardest to watch. Chiwetel Ejiofor (Children of Men) IS Solomon Northup. Each wide-eyed look of disbelief when Northup encounters new injustices, and his eloquent speaking patterns, as a man both educated and wise, shows a complete immersion into the role. Michael Fassbender (an actor I often find myself not recognizing immediately in films because he seems so utterly different in every role he plays) epitomizes the very worst of men to emerge from white dominance in the slave-fueled South. As Solomon/Platt’s master, Edwin Epps oversees his slaves with a sort of controlled insanity that can only come from the drunkenness of entitled power. Benedict Cumberbatch, Paul Giamatti, Paul Dano, and Brad Pitt also give pivotal and fantastic performances. Though, side note, it’s honestly unsettling how well Paul Dano seems to be at playing despicable people. The face to watch from 12 Years a Slave, however, is that of Lupita Nyong’o. This newcomer plays fellow slave Patsey, a woman subjected to the living hell of being the Master’s favorite. Arguably having the hardest content of the entire film to perform, she is mesmerizing and her performance is truly affecting. McQueen has made two other feature films, Shame (2011) and Hunger (2008), each about difficult topics. He’s made it clear he isn’t afraid to challenge his viewers with disturbing content, but with this film he’s found the best outlet for his talent. He shows a masterful control of the subject matter, never letting it overwhelm the artistic focus of the film, and pairing every heightened moment with well-designed sound editing and an unsettling musical score. While Tarantino’s vengefully satisfying Django Unchained showed far more blood, gore, and savagery than 12 Years a Slave does, it’s ridiculousness made it laughable and thus far easier to take. McQueen’s film is not easy to take, and this is what makes it an absolute must-see; in fact even elicits a feeling of significance while viewing it. This film, and others like it, will always be necessary. Serving as a reminder of all we have, and all that can be denied from us. The moment we stop thinking about the past, at it’s most truthful, may be the moment we lapse into old ways of thinking. 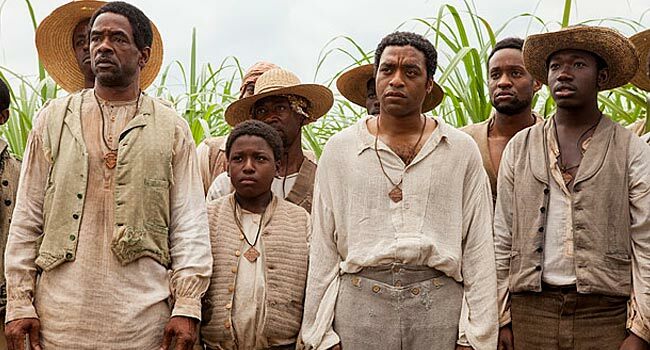 12 Years a Slave has set the bar in honest historical filmmaking, as well as just how emotionally connecting a film can be.